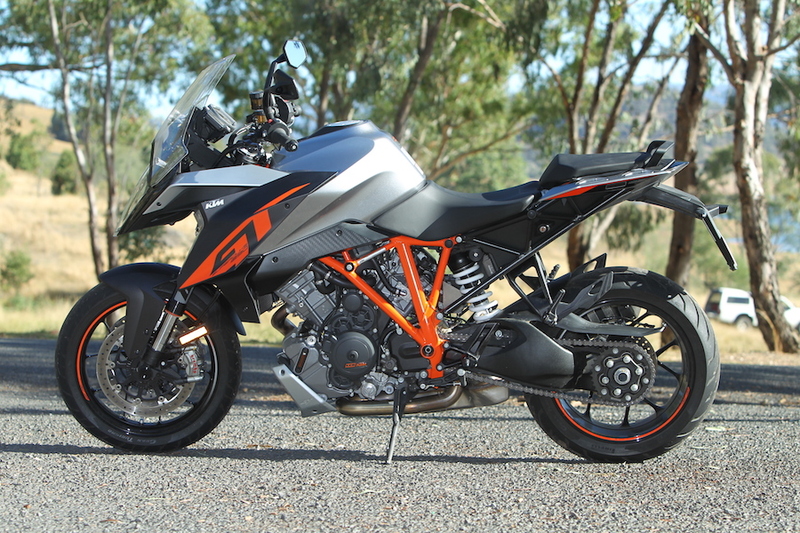 My time with KTM’s LAMS-approved 390 Duke and its 1290 Super Duke R big brother was great fun, but that was all short-range stuff. When I returned the 1290, I told KTM of my desire to get out of town for a few days, so they wheeled out the 1290 Super Duke GT and told me to get lost. Some may think the GT is just a 1290 R with panniers, but it’s much more than that. It’s got electronic semi-active WP suspension, linked ABS braking, traction control, a screen, heated grips, cruise control and a 23-litre tank, to name a few differences. One of the things that impressed when the GT was launched two years ago was the pannier hanger design. 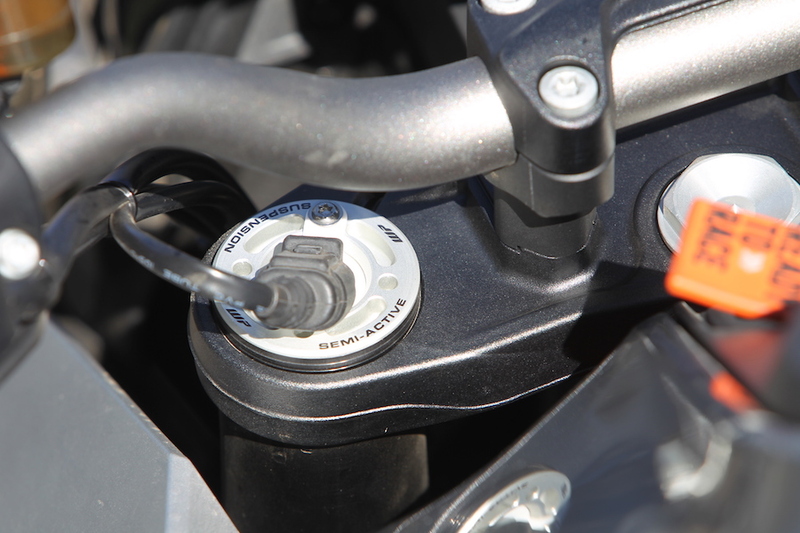 The only clue the bike is equipped to take two 30-litre cases is a pair of small, integrated chrome mounting points on the tail. Lucky, too, because the bags aren’t standard – they’re a $1300 option – which is a little perplexing given the bike is marketed as a sports-tourer. Without cases, I’ll have to put some thought into what I’ll take on my trip, but that’s a future problem; right now I’m just enjoying stretching the legs of the big 1301cc LC8 V-twin. Stepping straight off the 2017 1290 Super Duke R and onto the 2016 1290 GT highlighted the power delivery differences. 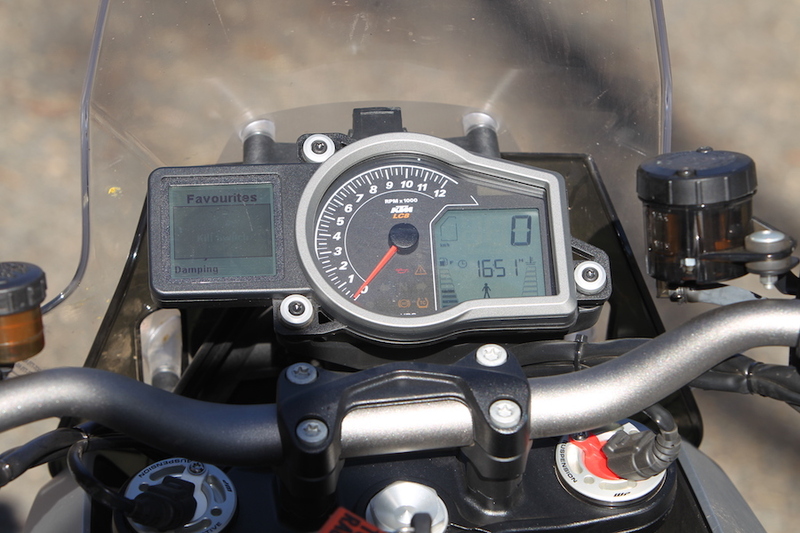 There’s little difference in the outputs, and there’s nothing to complain about in the GT’s grunt department – 114 of its 144Nm peak chimes in at just 3250rpm – but the newer 1290 R feels a little smoother in the midrange. Weight-wise, the GT (205kg, dry) is 10kg heavier than the R, which will blow out significantly with fluids and gear. This is where the semi-active suspension will really shine. The other noticeable difference is the GT’s up-only quickshifter compared to the R’s bi-directional offering. The GT has a couple of features the R doesn’t – a combined ABS system, which is lean-angle sensitive, and a few options such as Hill Hold Control ($199.99). It’s early days with the GT, but it’s already showing its strength as a beaut all-rounder. Despite being large, it’s easy to manoeuvre through traffic and lane filtering is a cinch thanks to its excellent low-speed stability. The seating position is more upright than the R, the seat height is the same at 835mm, but the risers are adjustable. The adjustable screen is probably too short for really tall riders. I’ll be interested to see how it goes once I’m punching out a few droning hours along the freeway. 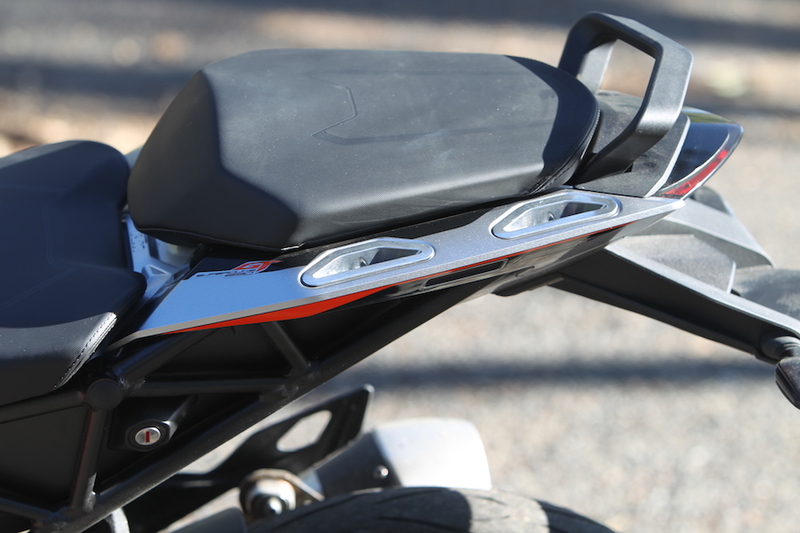 All that is still ahead of the KTM 1290 Super Duke GT.